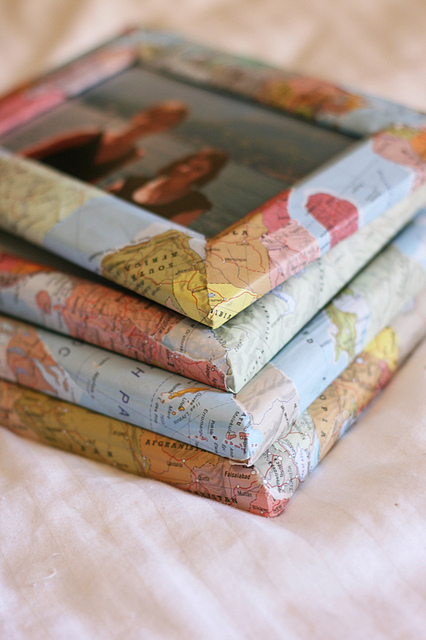 Need a last-minute homemade gift? 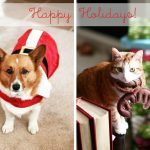 I’m sure many have their shopping finished, but some of us aren’t that perfect, okay? I’m always amazed at my sister-in-law Melissa, who smartly begins shopping months early. The rest of us are just avoiding the mall this week. 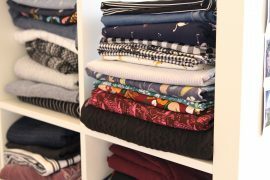 So here are things that you can make in just a few hours. A cloud. 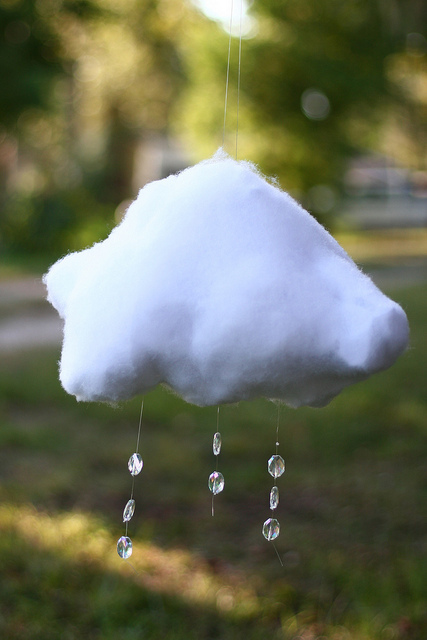 You didn’t know you could make a cloud, did you? Well you can. I made this one for my niece’s birthday in August. I rolled up pieces of paper and loosely stitched them together to make the shape and then covered them with quilt batting. It is hung with fishing wire and “raindrops” dangle from the bottom. 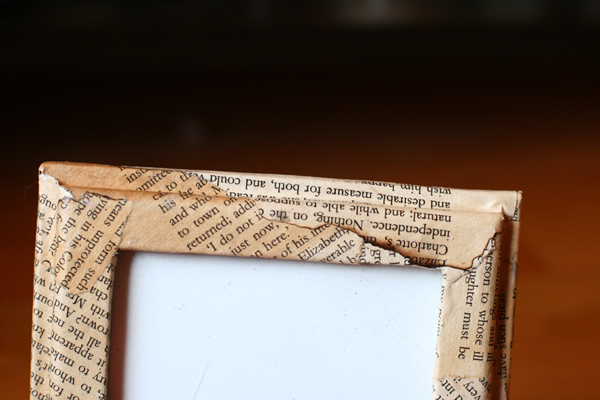 Decoupaged frames. I made these using a torn-up map, a cheap wooden frame, and Mod Podge (for the glue as well as the sealant). 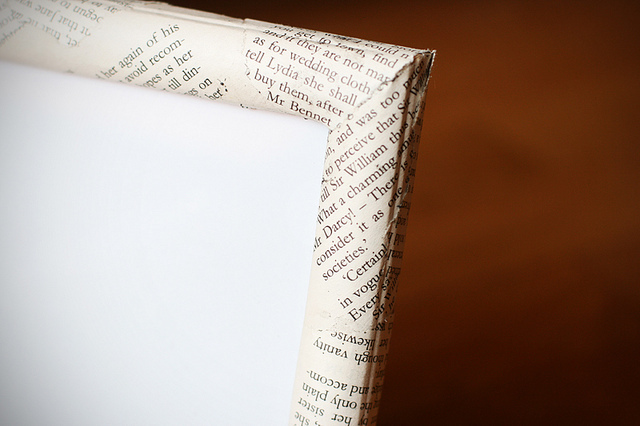 This one I made using pages of a spare copy of Pride and Prejudice. In this one I used the same sacrificed book, but I soaked the pages in coffee and burnt some of the edges to make it look antiqued. If you know how to crochet, there are lots of things you can do. 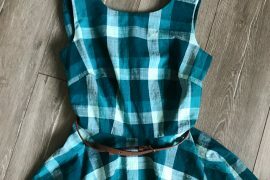 I personally prefer knitting but find many crochet products faster and easier. 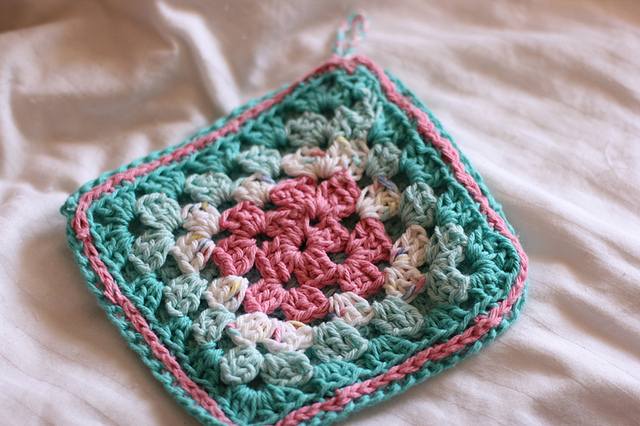 This potholder was the very first thing I ever crocheted. I watched a few YouTube videos and started on this right away. So even if you don’t know how to crochet, there’s time for you to learn. This one is just a granny square with chain-stitched border and a solid back. 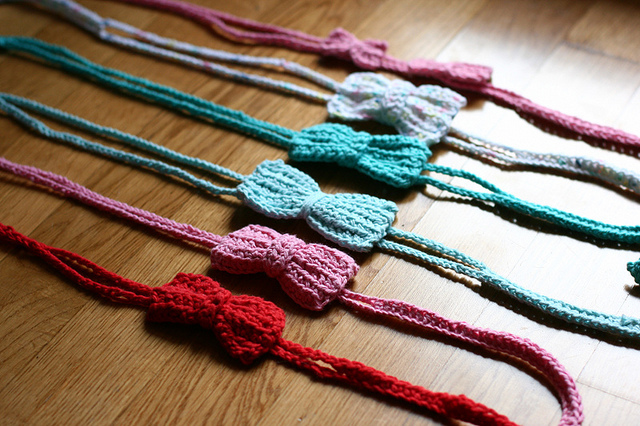 I also made all of these headbands the day I learned to crochet! 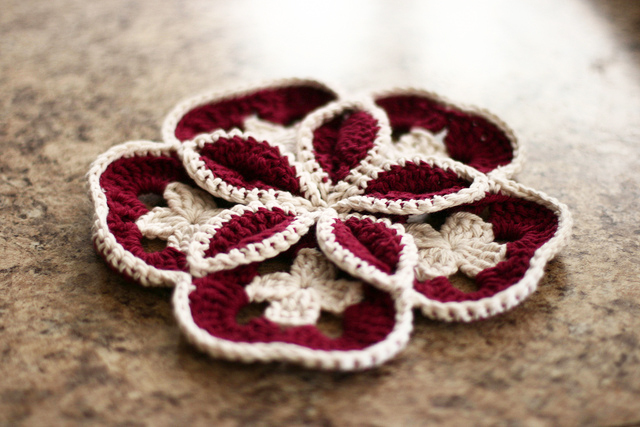 This potholder/trivet/hot pad is so beautiful and took only a few hours for me to make. The red color reminds me of a poinsettia–perfect for the holiday. I would love to make another one with inverted colors–the set would make a wonderful gift for anyone who loves cooking! I could imagine my mom and grandmother having a few of these in their kitchens. 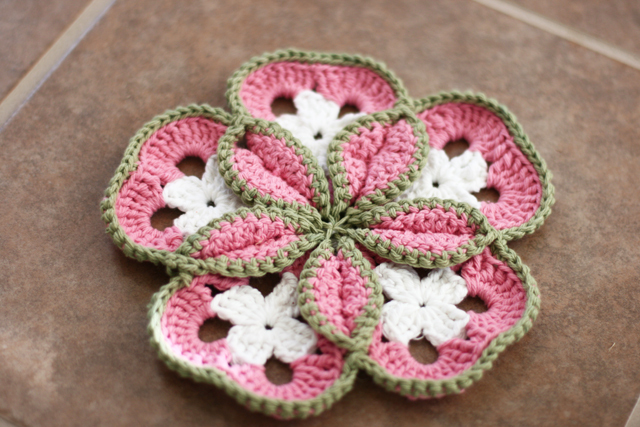 I had so much fun making the first trivet (the pattern is really cool!) that i immediately had to try it in a different color. Â And I use these both all the time. This owl hat also took only a day to make. Though that’s pushing it–you might want to schedule this one so you’ll have two days to work on it. But it’s worth it–who wouldn’t love an owl hat?? This is what the hat looks like with a normal outfit (sorry about the top being cut off!). Yes, I got some stares that day. Except at Hobby Lobby, where everyone understood. A painting. 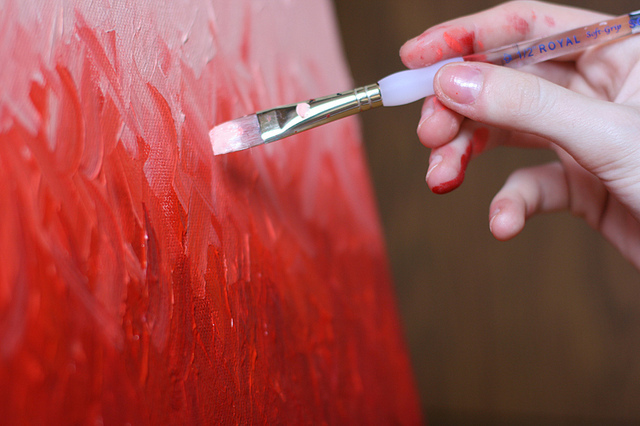 Trust me–a simple, beautiful painting does not require an extraordinary amount of artistry. I like to say I am one of the least artistic people alive but somehow managed to make four paintings this year I’m very proud of. Â They’re not going to be in a museum, but they’re good enough to be hung on my walls. 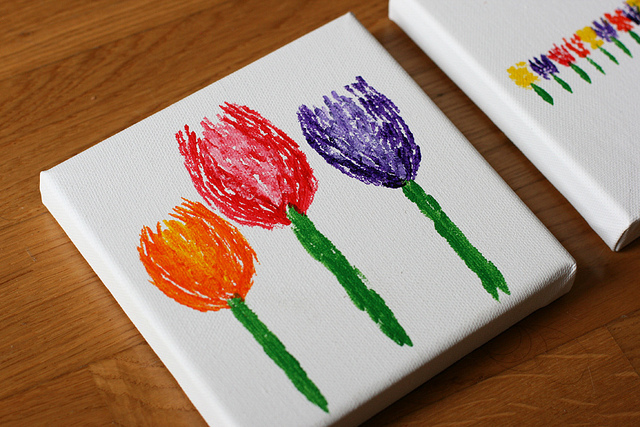 A simple painting on a white canvas can be really beautiful, or you can try for something a bit more abstract. 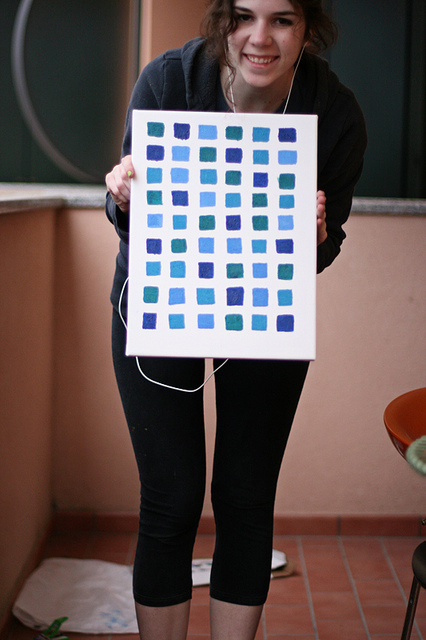 This is the very first thing I painted. I was ecstatic with the way it came out and proud of myself for trying something completely new. The wonderful thing about crafting is the allowance for mistakes. 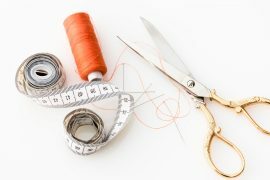 You don’t need to be scared of making an imperfect product–just roll up your sleeves and try. Everything I’ve made has mistakes, and that’s what gives it character. I love receiving handmade gifts–knowing that someone took the time and thought to physically work on createÂ somethingÂ for me is unparalleled. 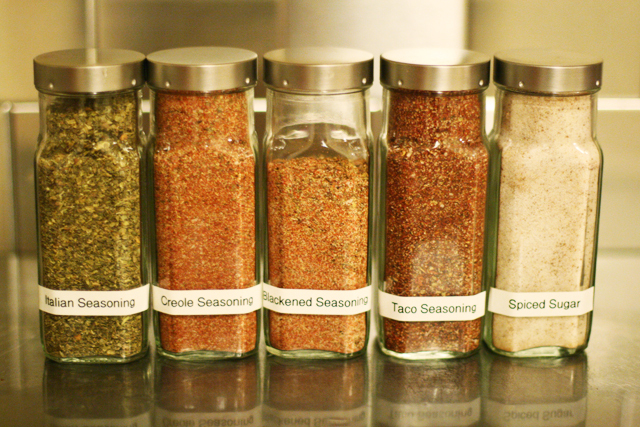 I haven’t tried all the spices, but here is one I would absolutely recommend: Taco Seasoning. 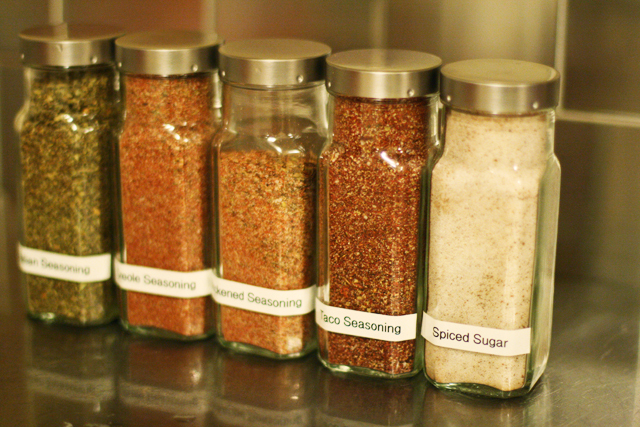 Even if you don’t plan on giving these gifts, you need to throw out your store-bought taco seasoning and switch over to this ASAP. Great ideas! 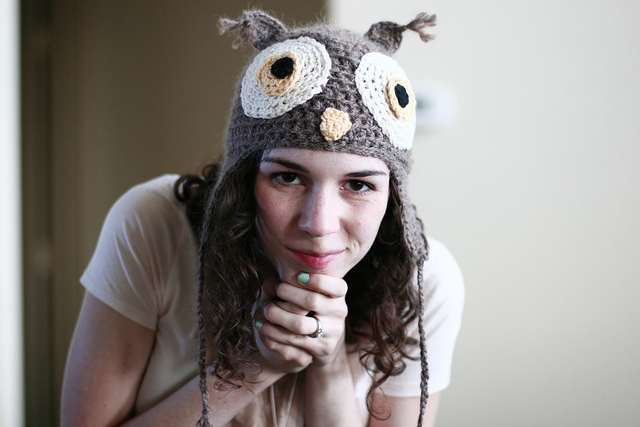 The owl hat is so cute, I’d love to sit down and make one of those. Love that map/frame idea! I have tons of people that would appriciate that. Thanks for the ideas. 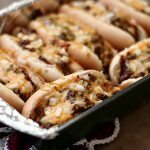 Just found your blog on foodgawker today and love it! 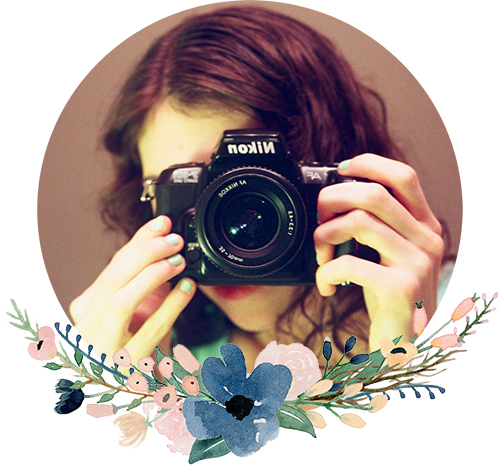 Btw, I hope it’s alright that I link you on my blog… I love reading your posts! I scrolled through 20 or so pages and found it! Here it is, just in case the was a mistake in the linking process. This is the second one in the list above. I hope it’s okay I shared it here.